Everyone’s body and mind are unique and CCD is taking the mystery out of how to turnaround each individual’s health. By combining the best science and closely monitoring how a person’s conditions respond, CCD’s adaptive technology provides step-by-step guidance to deliver real results. 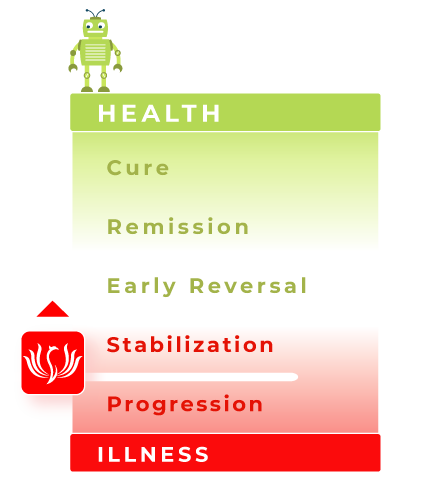 Once diagnosed with a chronic disease, people are typically put on medications and progression is often inevitable. That doesn’t need to happen anymore! Regardless of insurance status or ability to pay, CCD will help anyone diagnosed with a reversible chronic condition bounce back to health. If you’d like to join the team, contribute, or even just chat and brainstorm, please fill in the form below. CCD’s proprietary algorithms generate a personalized step-by-step treatment plan based on the latest science and individual data. Tailoring the recommendations to a person’s body and mind and adjusting them based on behaviors and disease response ensures the best possible result in the shortest amount of time. We want to make sure our treatment plan is the best match for each individual. 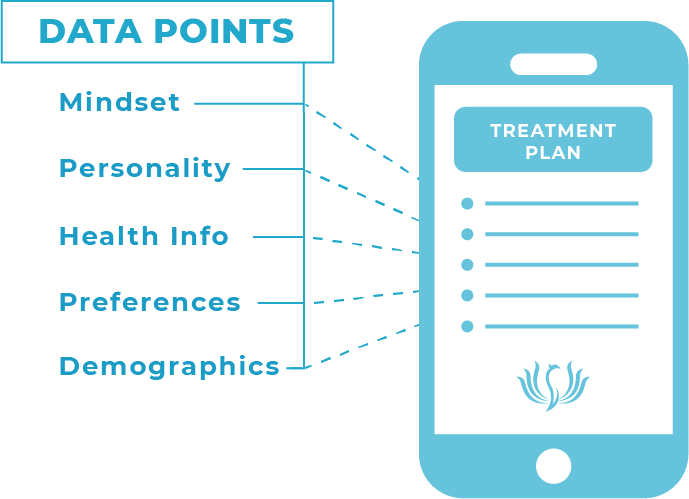 Monitoring how well people complete the intended behaviors helps adjust the treatment plan when necessary, provides positive reinforcement, and builds self-efficacy. By frequently measuring disease response, CCD creates ultimate accountability by showing people exactly how their actions impact health. Understanding how strategic behaviors improve health will not only refine our treatment plans over time but also help discover new science on disease reversal.